All the available templates for WPUF will be listed in this documentation. 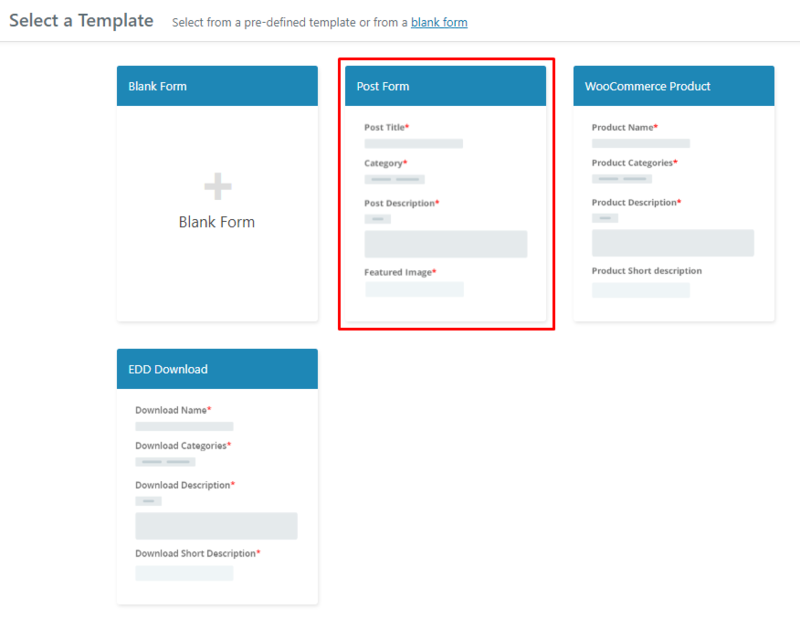 You can directly land on this page by clicking on the link provided on the template selection page footer. You can also request a new integration by letting us know. Click on the ‘let us know' button and fill up the form. 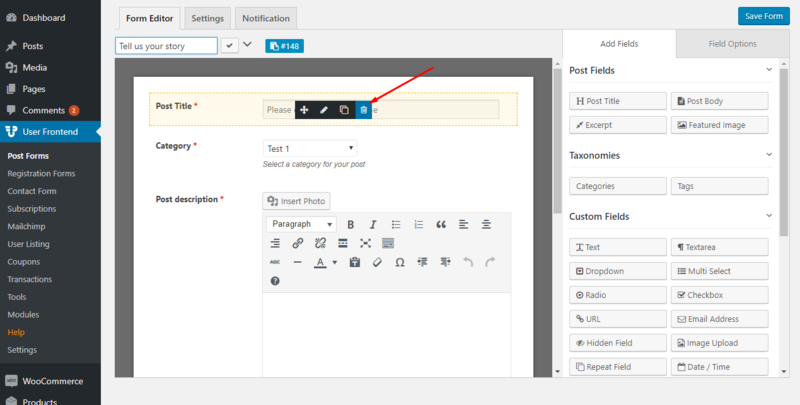 This predefined template allows you to quickly create a general post form. It contains the following form elements along with default settings. You also add more elements and remove previous ones if required. 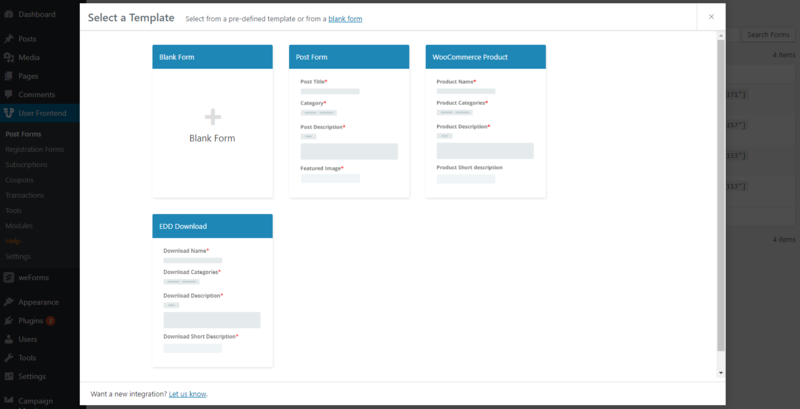 This template allows you to create a WooCommerce product creation form very quickly. It contains the following form elements along with default settings. The predefined EDD Download forms will help you prepare an EDD product creation form swiftly. Place your mouse inside the red marked area and hit the Create Form button. Download Name: Insert your products' name. Download Categories: Select a category for the products. 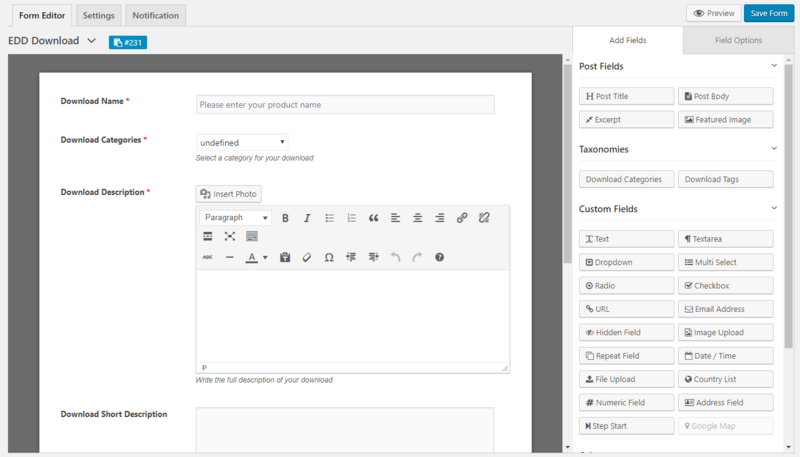 Download Description: You will get a full-fledged text editor to write a description. You can even insert images with this field. Download Short Description: Write the description in brief. Regular Price: Regular price of your download. Download Image: Upload the main image for the downloadable product. 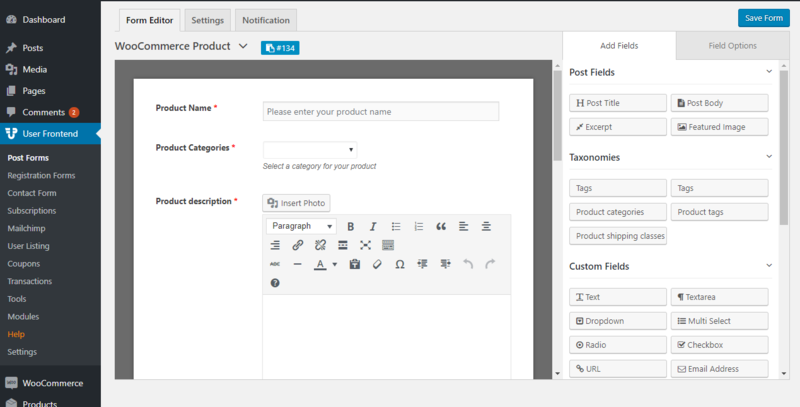 Product Notes: Add product notes for the downloadable products. Downloadable files: Use this option to select your downloadable files. However, you can even add or remove fields if required.